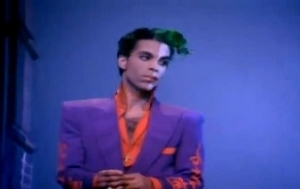 This picture is from which Prince video? A Tribute to Prince door Bandless 2016 | "When Doves Cry". Prince, Tom Petty, Steve Winwood, Jeff Lynne and others -- "While My gitaar Gently Weeps"